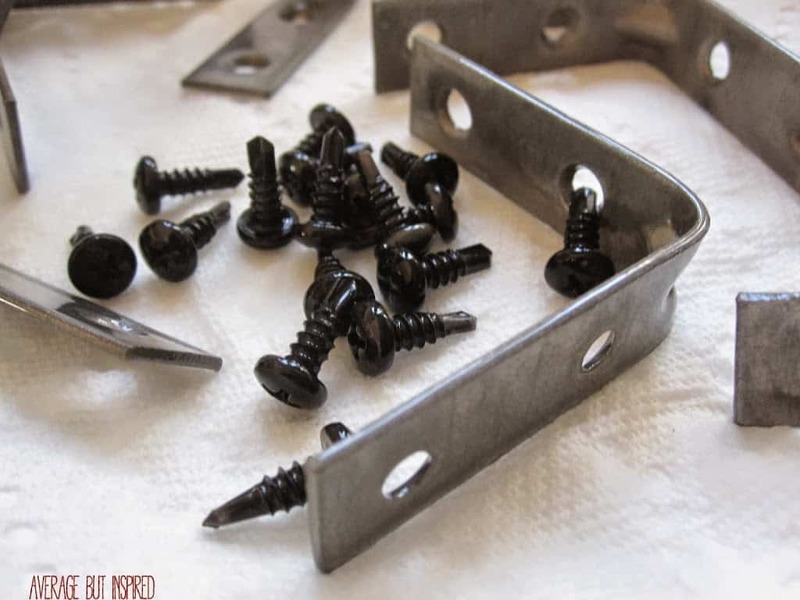 This is such a FUN post today! I have been excited about it for so long, and I can’t believe the day is finally here. . . the day of the Great Crate Challenge! 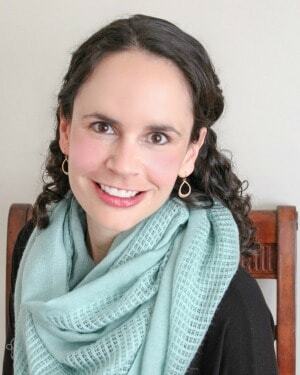 Nine bloggers and I teamed up on this challenge. 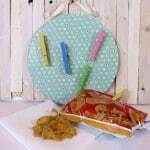 We each started with the same wooden crates from Michaels and transformed them in our own ways. You won’t believe what everyone came up with. At the bottom of this post are links to all of the other crate projects, so make sure to check them out once you’re finished here. But first . 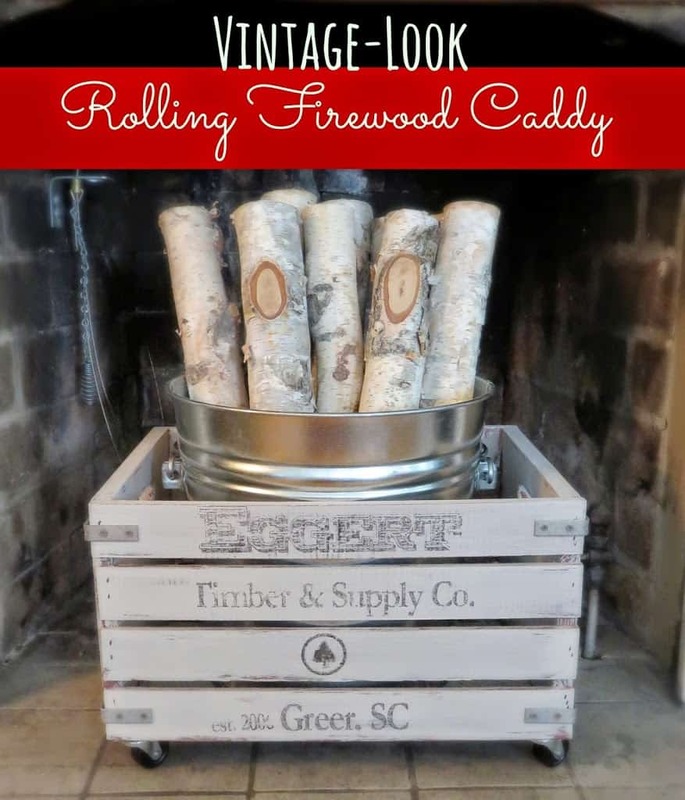 . . let me show you my project – a rolling firewood caddy! I am in love with my little firewood caddy. It has opened up my entire fireplace (I used to have a fireplace screen covering the firebox), and added a personal touch to my living room. It was also really, really easy to put together. Score! I started with this blank canvas of a crate that I purchased at Michaels. They retail for $13.99 unfinished, but Michaels is always very generous with their coupons, so chances are you can get one for 40% off on any given visit. Next, I sanded the crate’s rough spots and then primed the entire thing with a brown spray primer that looks red in this photo. I swear it’s not red. 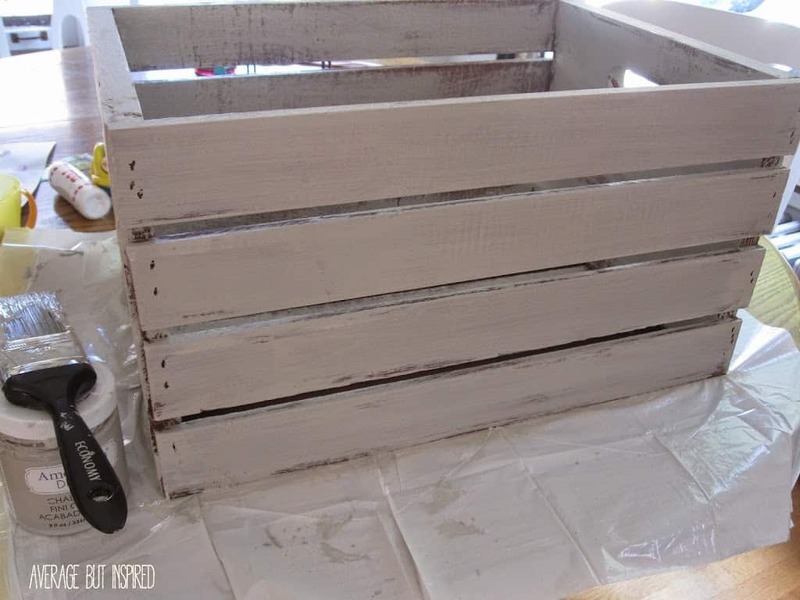 Once the primer dried, I painted the crate with the Americana Decor chalky finish paint that I had leftover from my grain sack coffee table makeover. 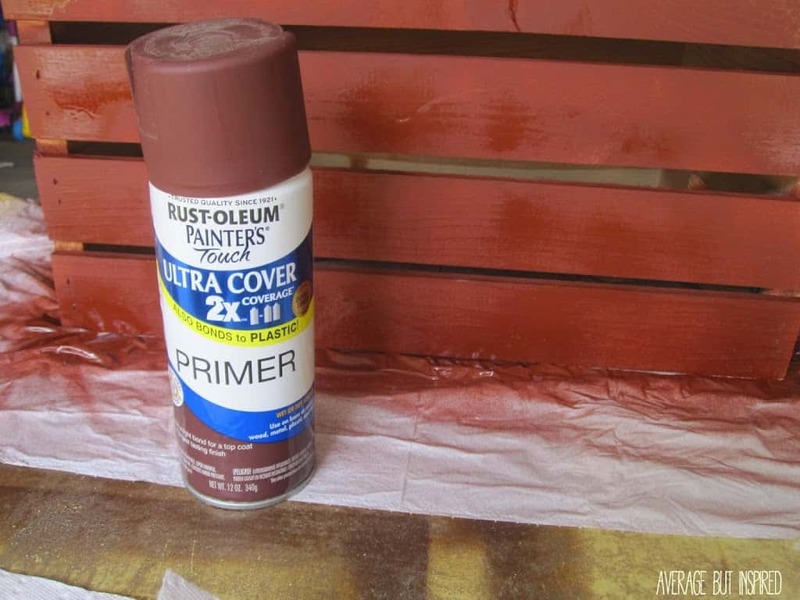 I intentionally made the paint look streaky so that some of the brown primer would show through, as I wanted the crate to have an antique look to it. 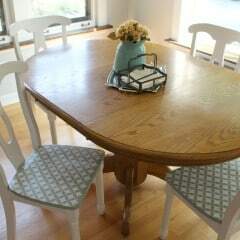 After the paint dried, I lightly sanded in areas to give a further distressed look. Next, I decided to add some text on the front of my crate. I wanted it to look like a vintage crate I picked up at a flea market or something. Since this was going in my fireplace, I decided to make up a fake timber company bearing my last name. I downloaded some free rustic-looking fonts and a pine tree image, typed out my text using the Word Art function in Word, reversed the text, and printed it out on freezer paper so that I could do an image transfer. 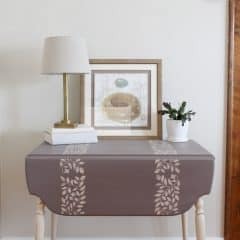 I followed the great freezer paper image transfer tutorial on Our Prairie Home, and it worked really well. Once the text dried, I added some brackets to the exterior sides of the crate. I think this helped make it look even more “vintage,” which is just what I wanted. Then I screwed four casters to the bottom of the crate. Since the crate would be holding firewood, I wanted to be able to easily move it. I am too weak to lift it up when it’s filled with wood! The casters did the trick perfectly. 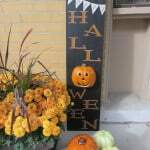 It looked pretty cute just like this, but I wanted to be able to mask the ugly staining on the back wall of my firebox, so I needed to add some more height. 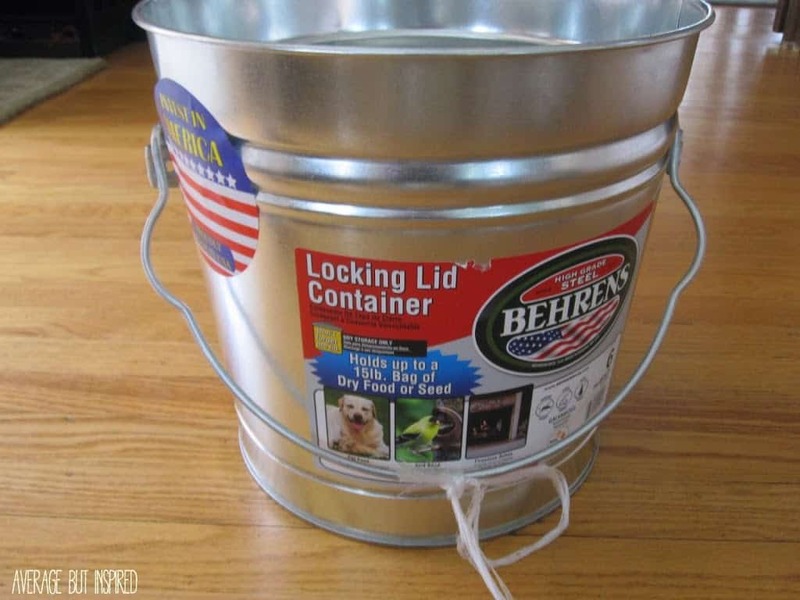 I fixed this problem by adding a tiny galvanized metal trash can into my crate. 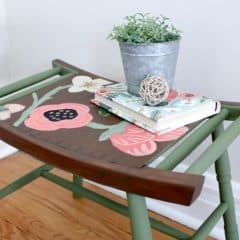 I had so much fun turning my plain crate into a functional and decorative accessory for my home! 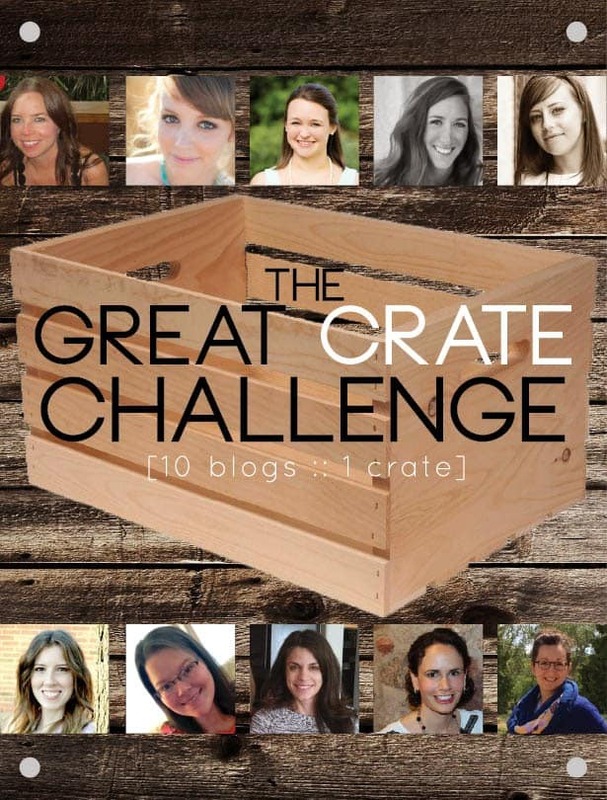 Now that you’ve seen my crate makeover, go check out my blogger friends’ makeovers, too! You will not believe their creativity. Just click the photos below to be taken right to their sites! 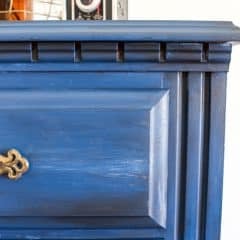 This is perfect and it looks fabulous in your fire place! I love that you added wheels too and the text! Awesome job, Bre!! Love, love, love it, Bre! The rolling casters are such a great idea! And I agree that you would make an excellent lumberjack, LOL! You crack me up! BRILLIANT! 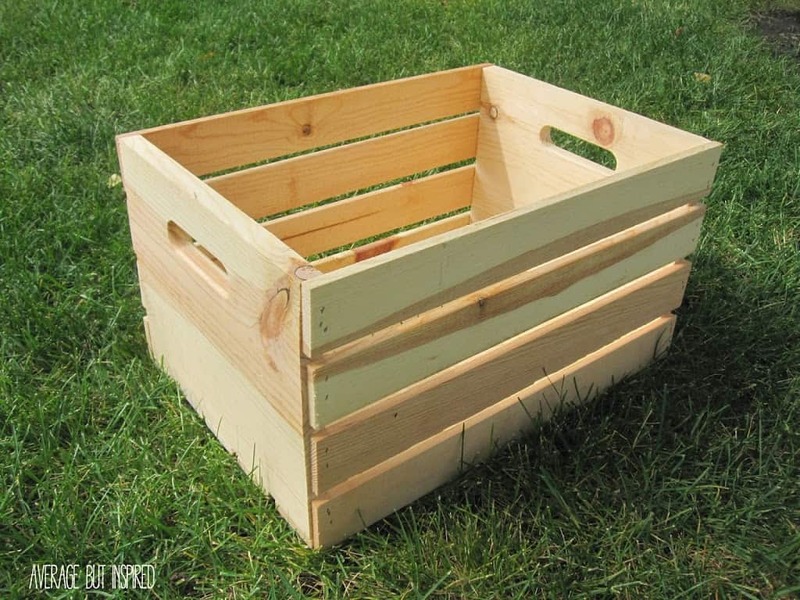 Totally looks like a vintage crate! 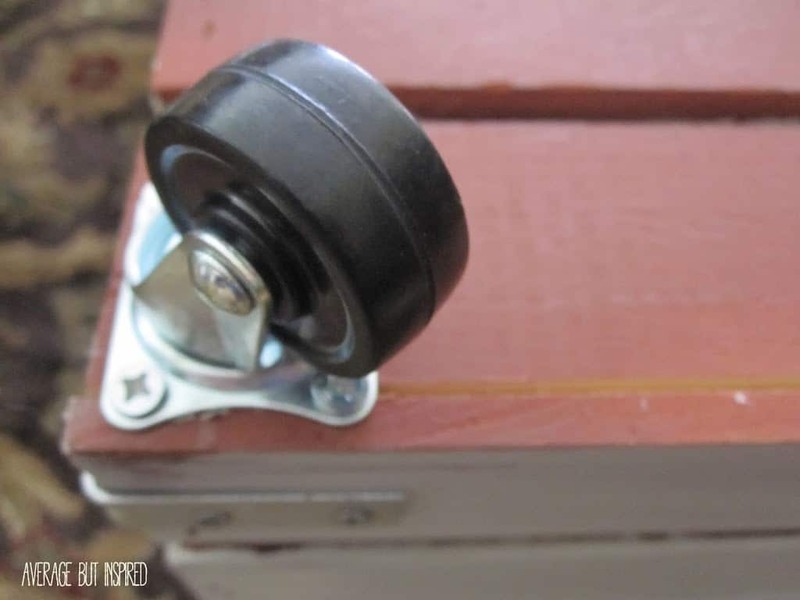 Super handy to move with the wheels and oh so pretty in your fireplace!!! Love this, Bre! 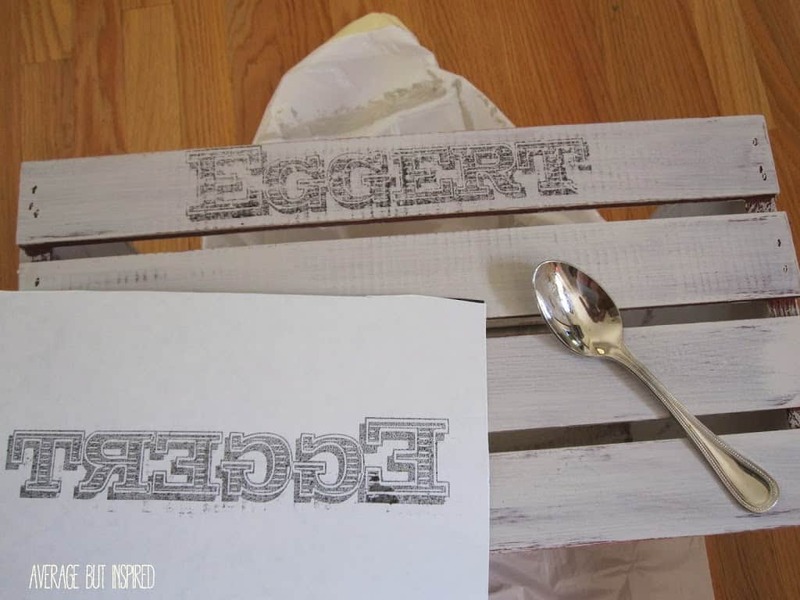 Love the vintage look that you created with the stain and chalky paint, looks great! 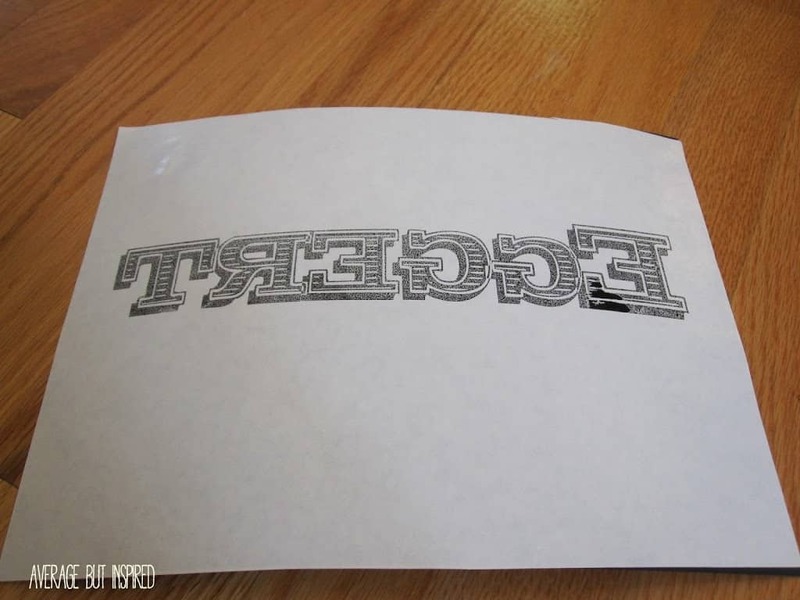 I have never heard of the freezer paper image transfer, I am going to have to try this. I love the vintage look of the crate! What a great idea to add text to the front. 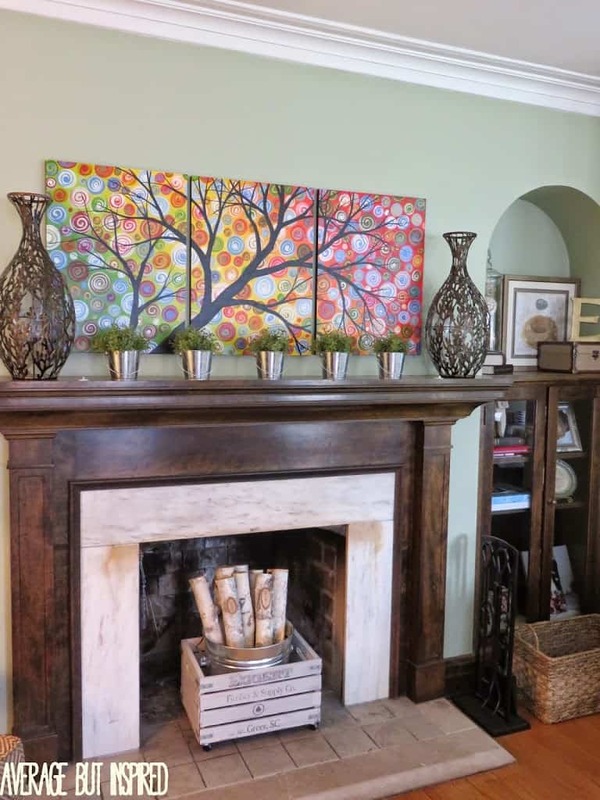 It looks awesome in your fireplace! 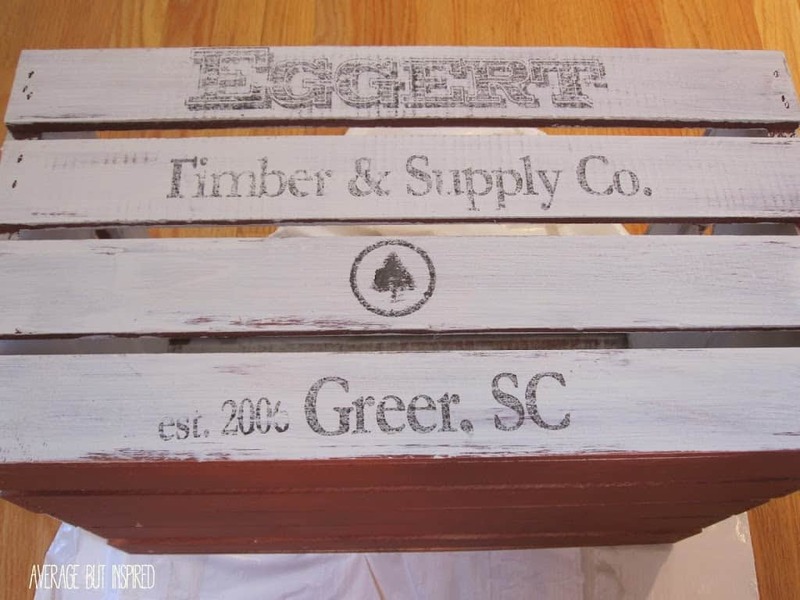 I absolutely adore your wording – Timber & Supply Co. and that little tree logo is just perfection! This is so clever, clever. I hate having firewood just stacked on the ground or whatever so this is the perfect solution as those cold winter months come around! I’m so glad you did this! 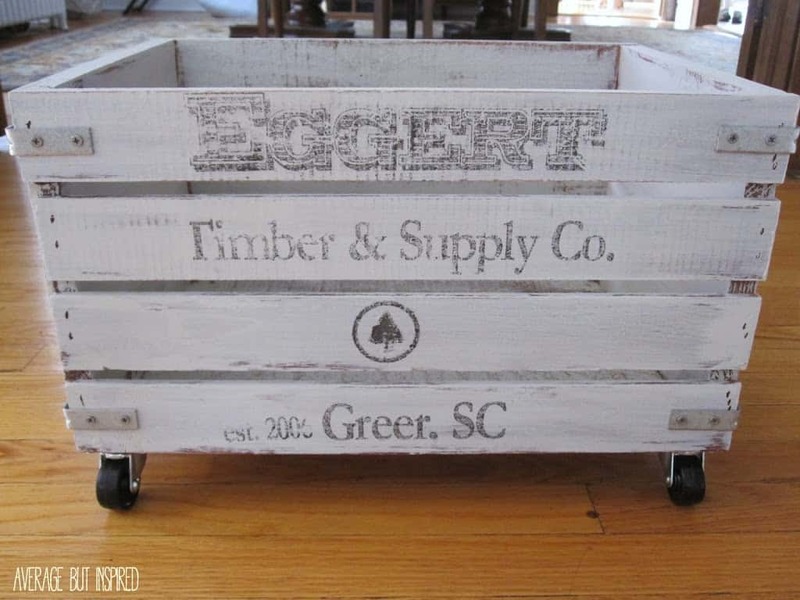 I am displaying at a home show this weekend and using wood crates. I was trying to decide the best way to get lettering on my boxes – this will do it! Yay! Love this project! We need a storage crate for our firewood this winter. And I love that you are from Greer! We have family in Lyman and live in Aiken. Small world! Wow!! I LOVE how this turned out…from the vintage paint job to the text transfer to the wheels! This is awesome! 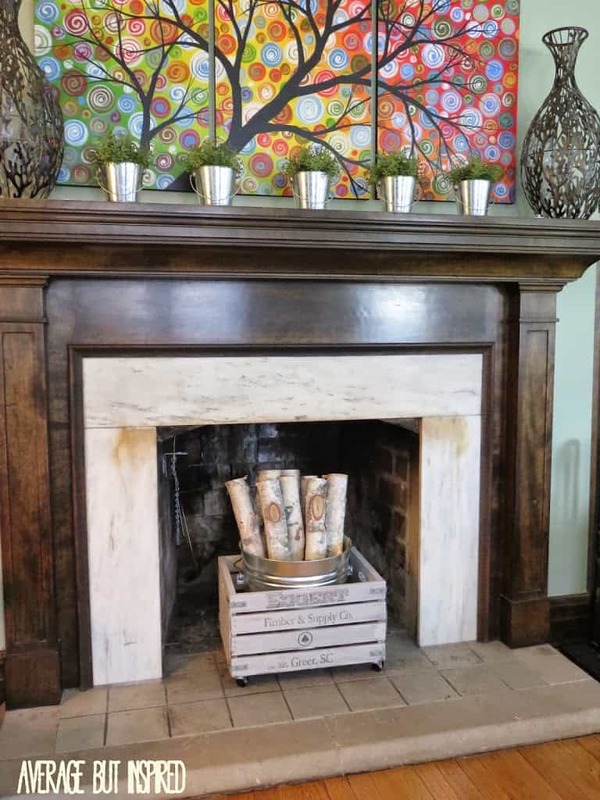 This looks GREAT in your fireplace! Love the personalization!